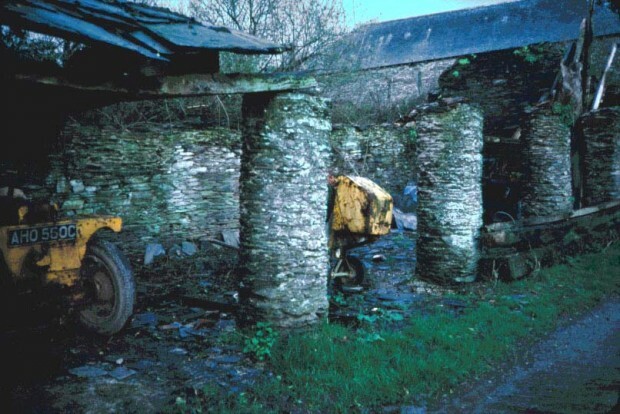 Lucy Lippard has kindly given permission for us to publish here the text of her keynote lecture given in Falmouth, Cornwall on 20 May 2010. This isn’t easy, since I’m not really a curator and I haven’t attended any of the blockbuster global biennials, with the sole exception of Venice in 2007. However the concept of place is very important to me and it has for the most part, as far as I know anyway, been addressed only superficially in big international exhibitions. My own only experience anywhere near such scale was 40 years ago when I made a pair of exhibitions in Seattle and Vancouver – titled 557,087 and 955,000 – the current populations of each city. The two shows differed according to the places they were in – not because I was particularly sensitive to place, but because of logistics. 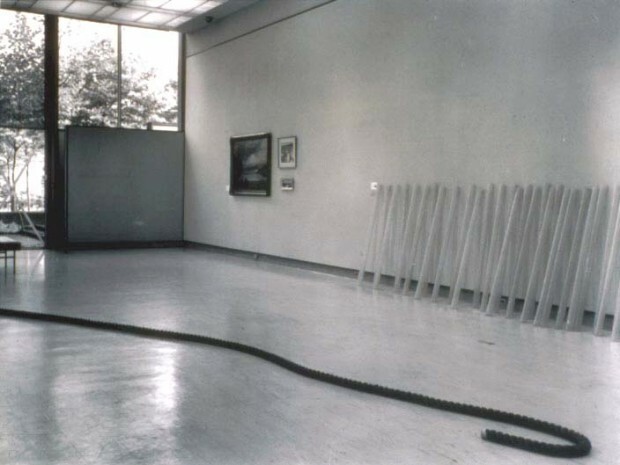 The indoor object and non-object works in both exhibitions remained more or less the same, though very differently installed in a single large venue in Seattle and in two smaller venues in Vancouver. But the large number of outdoor pieces changed drastically between fall 1969 and January 1970, in part because of the artists’ wishes, in part because of the resources available. There was no budget for transportation or professional execution at either venue. I wasn’t thinking of this when I did these shows in 1969-70, but in retrospect the creation and installation of all these imagined projects required a knowledge of place that I didn’t have. So I was lucky to get a lot of help finding and hauling around materials, locating sites, and actually building pieces according to the artist’s often fuzzy instructions. My collaborators were all volunteers — local artists and artworkers; we were all in our 20s or 30s, as were most of the artists. By spreading pieces all around the cities, and by engaging a youthful art population, I hoped to “democratize” the art on some level, to transform the practice of artmaking from an “elitist” activity to a presence in the daily lives of the populations for whom the shows were named. By spreading the work around (some would say spreading it thin), such a show reaches local people who may have little time or inclination to go to a museum, and takes tourists into parts of the area they would otherwise never see. Today no respectable museum show would be executed in such a haphazard and randomly collaborative manner. No one like me with no curatorial training would be hired to do it, although the dissemination of works throughout an urban setting has become common in the ensuing decades. The catalogues for the Seattle Vancouver shows, and two other “number shows” succeeding them, were texts on index cards that could be randomly shuffled by the reader. Both shows and cards were inspired by a significant shift in art practice in the 1960s in Europe and the U.S. – a political move in a sense, given the times – which led artists out of the gallery system, where privileged taste and power prevailed, into the streets and the parks and the fields and the forests and the quarries and the gravel pits. At the time, land art and conceptual art seemed to ensure increased independence for artists, a rebellion against the precious object syndrome and the rule of the commercial art world. When people were making outdoor art in the ‘60s –conceptual projects, earth art, and so forth– we thought it was just so incredibly radical that it was unsaleable; it would never get into the artworld, the galleries and museums… And boy, were we wrong. At first the artworld didn’t take kindly to this stuff that bypassed their power system and their radars for a while. Collectors didn’t know where to put it, how to treat it, how to preserve it until the value increased. But artists still had to make a living and there were some collectors and dealers who enthusiastically supported the high-profile stuff. The next thing we knew, it was just another branch of the art establishment. Because even the most unwieldy art outdoors became object-based and market oriented like everything else, primarily through project drawings and photographs (and later when earthworks became tourist destinations). I wrote a whole book on the significance of place and contemporary art in 1997 — The Lure of the Local: Senses of Place In a Multicentered Society—and I don’t want to repeat it here. The message was that no matter how long or short a time we live in a place we inherit the responsibility for knowing about it, valuing it, working to keep it viable, and illuminating our dynamic cultural spaces and their underlying, often invisible meanings and uses — for those who don’t. If a local is someone who gives more than she takes, everybody is a candidate. The book title’s plural – senses of place – is crucial, since we each have our own places within shared places. And the made-up word “multicentered” reminds us how uprooted our societies are and simultaneously insists that we can put down shallow but tough roots wherever we find ourselves. In fact it’s downright dangerous not to do so – both personally and generally – for places, for other people, other life, and for a planet in the grip of climate chaos. “Place” has become a self-conscious rather than an organic concept. But in the process of following the vortex of land and lives, a tantalizing liminal space has opened up between disciplines, between the arts, geography, history, archeology, sociology – space occupied by people like Matthew Coolidge of the Center for Land Use Interpretation and Trevor Paglen, who follows the black sites of governmental secrecy. Both can be identified as “experimental geographers.” JB Jackson, the extraordinary essayist and cultural geographer, who also lived in New Mexico, wrote that “no landscape, vernacular or otherwise, can be comprehended unless we perceive it as an organization of space; unless we ask ourselves who owns or uses those spaces, how they were created and how they change.” A real sense of place is a virtual immersion that depends both on lived experience and on topographical, even infrastructural, intimacy, not to mention acquired knowledge on the ground and in the books. The only biennials I’ve been able to follow are the very small-scale exhibitions at Site Santa Fe, near where I live. 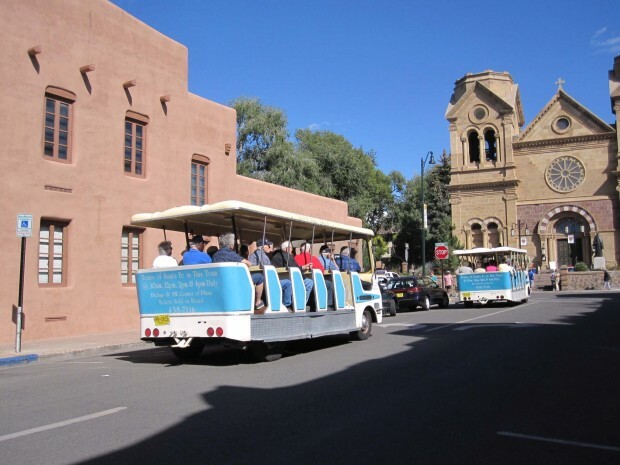 Like Falmouth, Santa Fe New Mexico is a tourist destination embedded in a landscape that is a prime attraction, along with its indigenous inhabitants. Both Falmouth and Santa Fe share a plethora of prehistoric sites, which enhance the landscape, make it mysterious and compelling. International art exhibitions are of course tourist destinations in themselves – an underlying motive for dragging art and artists around the world. Santa Fe, like all places, is many different places, located somewhere between reality and the imagination. The reality of space is always contestable whether one is living in it, visiting it, or touring it. Imagined space, on the other hand, is easily available. Virtually from its inception, tourism and tourist destinations have been capitalized by imagination. We’re always aware that our city doubles as territory imagined by capital as well as a place defined by our own daily realities. Since Santa Fe is deeply dependent on tourism, I once suggested that Site Santa Fe might want to take the bull by the horns and do a show on tourism that took place all over town, presenting views from the varied perspectives of visitors, visitees, longtime residents, newcomers, etc., which could spark a multivalent and socially necessary dialogue. But…they couldn’t have been less interested. Tourism is too often discussed solely from the viewpoint of the visitors rather than the visited. 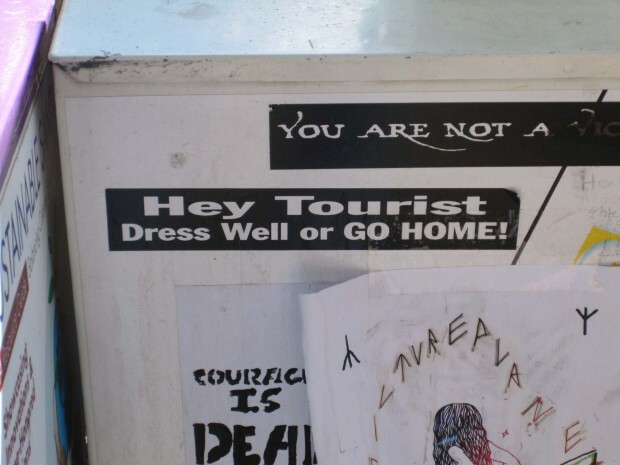 Tourism imposes a disguise on locals, whether they like it or not. 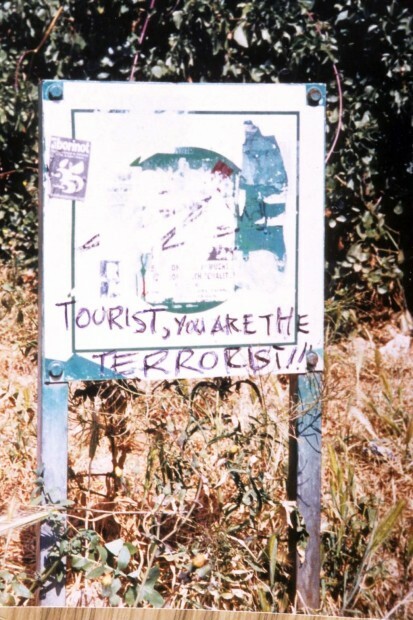 Dean MacCannell has suggested that we cultivate “respect for the gap” between tourists and the toured – “ a gap that can be narrowed but never closed.” Guy Debord claimed that “Capitalist production has unified space,” producing “an extensive and intensive process of banalization”. 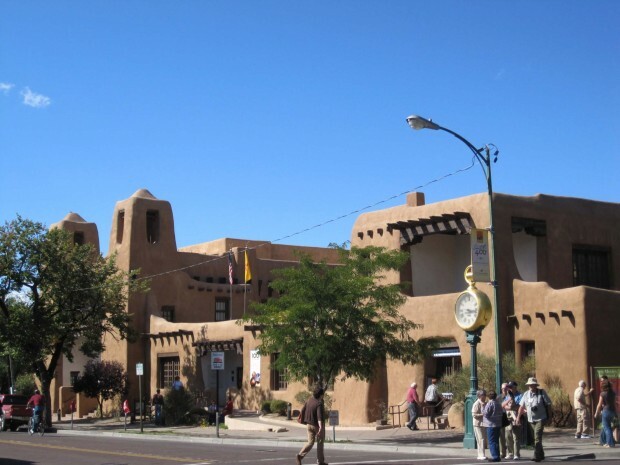 The apparent architectural uniformity of the historical district of Santa Fe (or Fanta Se, or Santa Fake) – its adobe Disneyland aspect – is on one hand dictated by a quasi fascist Historic Design Review Board; on the other hand, these restrictions have also created a true subtlety, which is what makes it such an interesting and multi-faceted place once you really begin to look around. Some cities, like New York or London, can be mapped as global cities. Santa Fe has been forced to remain regional in order to profit from tourism and the film industry. Site Santa Fe’s introduction of contemporary art hot off the griddle that would otherwise never be seen in such a small southwestern city is invaluable. But its biennials inevitably fail to fully engage with the place where they float. The first one in 1995 was called “The Faraway Nearby,” after a quotation from the iconic Georgia O’Keeffe, who has become a virtual industry in the area. It was to be directed by Mary Jane Jacob, who was sympathetic to the inclusion of local artists, but then she was displaced by her male assistant, who wasn’t. Since then, Site Santa Fe’s biennials, like many others, fall back on the conventional wisdom that “regional” art isn’t worthy, or would be dull to its hometown audiences, and that, to attract cosmopolitans from elsewhere, art must be imported from the “centers.” Local participation tends to be limited to press coverage, school programs, the few internationally famous artists living in the area, exclusive social events, and the occasional “site specific” piece made by outsiders with the best intentions and often the worst information, in order to connect with the locals, the masses, which rarely works out well. (The striking piece by Charlene Teters – a Spokane Indian who has lived in Santa Fe for decades – reimagining the obelisk in the center of the Plaza and its commemoration of victories over the “savages” is an exception.) Paying attention to place does not mean merely making something outside the museum, or parachuting in from far away, doing a bit of research, and creating a piece. For instance, for one Site Santa Fe Biennial, Carl Michael von Hausswolff made a sound piece – Galisteo Dancehall Séance — in the nineteenth-century sala in the village of Galisteo, where I live. It was okay if seen as just another installation, but it included a number of Mexican Mariachi and ranchero songs that suggested that the Austrian artist was under the illusion that he was in old Mexico. 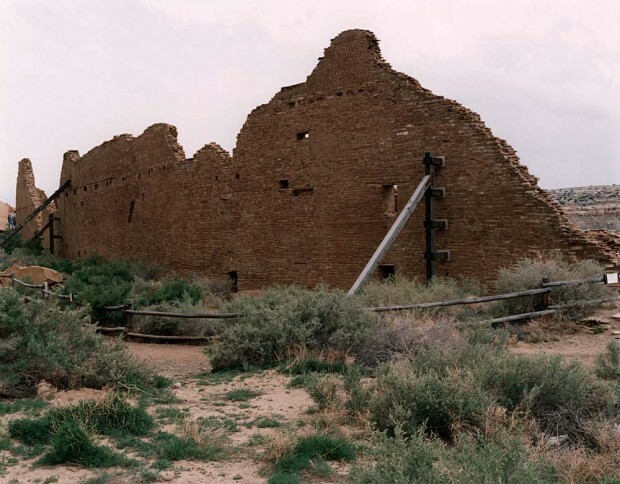 In fact, New Mexico has a unique identity of its own, going back to its settlement in 1598; some descendants of the original settlers identify far more easily with Spain than with Mexico, despite their actual heritage of mestizaje — mixture of European and Indian blood. Displacement is more appealing to contemporary artists than placement. In the 2008 Site Santa Fe biennial, Spanish artist Martí Anson created a scaled down replica of a nineteenth-century Catalan flour factory which was installed in an isolated museum parking lot. The original building, in his hometown of Mataró, was scheduled for demolition, to be replaced by a mall; because of local resistance, it was proposed to replicate it, at great expense, 200 meters down the street. (So far as I know, the building remains where it belongs.) Although moving huge buildings was also a nineteenth-century American obsession, Anson’s theme was dislocation and perhaps the potential absurdities of preservation and reconstruction. There are parallels in the trans-cultural collaborative work of Andrea Robbins and Max Becher – what they have called transportation of place, like the remains of this German colonial manager’s home in Namibia or this replica of a Latin American shanty store to the “Global Village” in Americus, Georgia. Also in Site Santa Fe’s 2008 biennial, curated by Lance Fung, Australian Nick Mangan created a faux archaeological site, unintentionally ironic in New Mexico, which is blanketed with archaeologists and with tantalizing pre-European and historic sites, although there is little money to investigate most of them. Places like New Mexico and Cornwall, where continuous occupation over the millennia is so much in evidence, have a peculiar relationship to time and history. Memory is the way we best understand the significance of time, through our own lived experience; history is inherited memory, vying with the memories of others, usually at a greater temporal distance, interpreted and reinterpreted over the centuries to become its own peculiar kind of fiction. I’ve just published a book on the archaeology and history of the cultural landscape in which I live. It’s called Down Country: The Tano of the Galisteo Basin, 1250-1782. 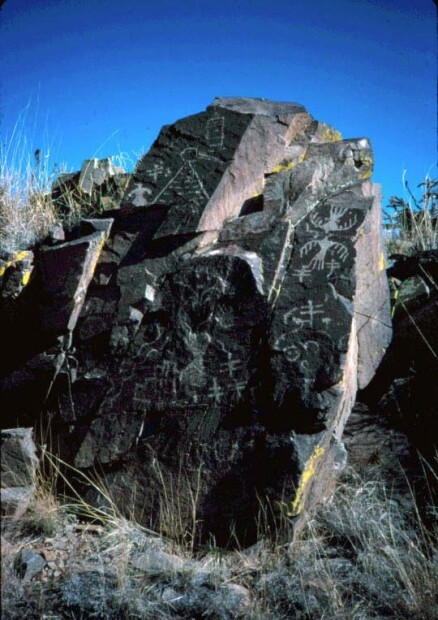 Given the remains of eight huge pueblo ruins, a vast display of extraordinary petroglyphs and pictographs, and endless smaller sites, the Galisteo Basin is a famous place about which nobody knows much. This afforded me, as an amateur sleuth, a great chance to practice what I preached in The Lure of the Local, to synthesize all the bits and pieces and unanswered puzzles. My next book project is a collaboration with photographer Peter Goin called Time and Time Again, which involves the re-photography of Ancestral Pueblo sites at Chaco Canyon and Mesa Verde, both national cultural parks and key archaeological mysteries. The spaces and time between the photographic images raise questions about preservation and reconstruction, how we measure time, cultural ownership, cultural imperialism. I won’t go down these roads tonight, except to say that they’re decidedly the results of the year I spent in Devon in 1977-78, hiking the moors to find megalithic sites. Seeing those monuments through the eyes of a contemporary art critic involved in public art and minimal sculpture, I did a book called Overlay: Contemporary Art and the Art of Prehistory. 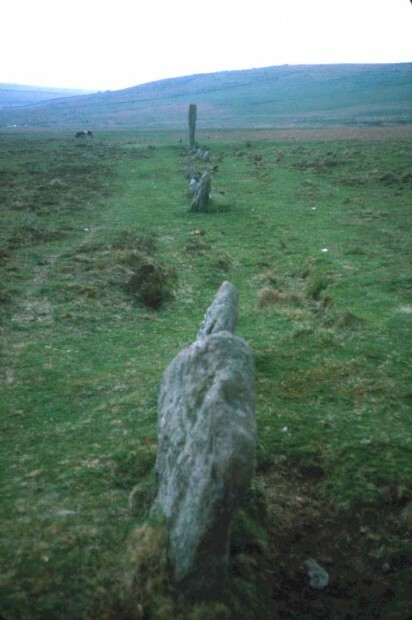 In Britain, of course, many of you may be the direct descendants of those who built the megaliths. In the U.S., few of us can claim indigeneity. (Native Americans make up only 1% of the US population). And cultural distances can be as great as temporal distances. Maybe there’s an exhibition there too, a way to play these great works off against contemporary art, especially British art? (Just a thought…) Or an exhibition exploring the peculiar notion of indigeneity in the modern world. I’d love to see an international exhibition or national project in which the sole goal was to expose in depth the history of an area, its people, and its land use, with local artists doing real research or visiting artists collaborating in depth with locals who have done so. The precedent on some levels would be Mary Jane Jacob’s “Places with a Past” exhibition in Charleston SC in 1991, and its sequel, the “Evoking History” program. Among her cited models were “Century 87” in l987, billed as “Today’s Art Face to Face with Amsterdam’s Past,” Werner Fenz’s 1988 controversial exhibition commemorating 50 years since 1938 on sites where National Socialism was significant, and in 1990, Britain’s “TSWA Four Cities Project: New Works for Different Places.” (Not having seen them, I’m not sure how or how well they worked, and I’d enjoy hearing from you who have seen them). Exhibitions like these I’m tossing out would of course be most spectacular in tourist destinations, since history is the mother lode of tourism. Cornwall would certainly qualify, but perhaps a more interesting foray into cultural geography would be to see how these ideas would work in places that are considered unappealing, uninteresting, unromantic, wherever they might be. Like suburban communities or council housing, or trailer parks. Artists, who are always “looking around,” should be the exception to those tourists who miss the trip for the sake of the “destination.” Yet we can’t trust eyes that lack peripheral vision. When all is said and done, the heart of all experience of place lies more in the journey, time spent – more in the process than the product, as we used to say in the 60s. If the beholding eye or the tourist gaze is inevitably socially constructed, who would be better at constructing it than artists? The dialectical relationship of the real past to the simulacra or cosmeticized versions that nourish conventional tourism should be grist for a cantankerous art. I’ve suggested that performance artists could be great tourist guides. An exhibition catalogue could double as a guidebook – an idea already being explored here, I understand, by Annie Lovejoy. It could tell us some of the stories buried in the places we rush past, helping us to re-imagine them. Another issue would be the preservation of agriculture and “countryside” (also spelled with a c instead of an s, as in genocide and suicide) like Aune Head’ Art’s “Focus on Farmers” project a couple of years ago. The further afield a show could be spread, the more interesting it would be, and the more people it would reach. There’s always the danger that it could get too scattered, too diluted, but it might be worth it to trade off the coherence of a curatorial concept for broader accessibility. The artworks themselves should be temporary, but they could include or inspire ongoing projects with lasting meaning to the specific place. Performance always brings people together. I’ve suggested that performance artists would be great tourist guides. For instance here is social sculptor Suzanne Lacy describing an unrealized project in Appalachia, what she calls “a performed photograph”: “Near sunset on a mild evening, Main Street of Elkhorn City, Kentucky, will become a stage. Storytellers in rocking chairs and fiddlers in doorways create an intimate and multi-vocal telling of river-related lore. Next, 200 church choir members pass through the street, walking toward the trestle bridge that spans the river. As they file onto the bridge, their all-white clothing forms a solid band on the horizon, separating the twilight sky and verdant trees overgrown with invasive kudzu from the white-tipped river below. This white line is bisected with a vibrant blue line painted on the bridge railing. In an expectant silence the sounds of frogs, insects, birds and river almost imperceptible deepen.” There’s more; it’s a complex project. But can’t you just see this nonexistent event in her evocative blending of community and landscape? An exhibition concentrated entirely on the ecology of a single place (or perhaps multiple places) would also be provocative, especially if it emphasized problem solving, landscape restoration, preservation of ecosystems and endangered species. (The artist Brandon Ballengée’s work on malformed amphibians in the US and UK comes to mind.) I’m an enthusiastic proponent of watershed or bioregional planning and politics. In the arid American west, in particular, collaboration with hydrologists and other scientists is a necessity. This was the basis of Weather Report, an exhibition I curated in 2007, in Boulder, Colorado, on art and climate change. There were nineteen public pieces scattered around town, some of which, of course, proved controversial. Artists confronted with a specific landscape are conventionally invited to impose their own visions upon it – an overlay of personal or conceptual preference. But what if the existing place demands to be considered for itself, not as a blank slate, but as an already evolved image with a history, that can be altered, even transformed, but never entirely erased? In this case, collaboration with those who are of the place, especially scientists who know it close-up, in excruciating detail, would make the whole enterprise far more complex and more layered. Collaboration is the social extension of collage. Some eco-artists, for all their concentration on the details of bioregions or eco systems, are sometimes less place-based so much as project-based. Others find a place where they can do their thing, and sometimes their thing emerges from the place itself. I like to think in terms of ripple effects. The strongest activism around place really starts from a center, a very specific place, in what William Least Heat Moon calls a “deep map.” And then with really consciously lived experience, it moves out from there in ripples. A great way of learning where you are is to think in terms of those ripples and how they affect your center and where other rings intercede to affect you and the environment, and so forth. The British of course have been leaders in landscape art, with your long (so to speak) tradition of looking at the overlaps and layers of nature and culture – all those watercolors, English gardens, Turner, Richard Long and Hamish Fulton, who walk through the landscape and frame for us what they see in various ways, through images, texts, subtle human-made interventions, up to the era of the seductive Andy Goldsworthy phenomenon. (There have surely been some shows around this theme.) Yet too often the art of the 1970s still seems to define much of what artists do “outdoors.” Natural materials gathered on site – bundles of sticks or grasses, branches, rocks, mud, flowers, leaves, pods, seeds – are extremely seductive. Out of this “matter” or matrix are built fleeting impressions (the ‘leave no trace ethic’) and handsome temporary objects. Once removed, photographs can make the wilting art permanent and still more impressive. Equally seductive are the views of and from the site itself, which enhance both modest interventions and monumental projects. For most inaccessible and impermanent outdoor art, photographs have traditionally replaced the works themselves, since most “viewers” will never have the ultimate, direct experience. The artist, of course, having enjoyed that first-hand contact, must be content to offer it to others second-hand, decontextualized, accompanied by mediating descriptions and photographs. (Parenthetically, one of the most striking and literally layered non-art “objects” I’ve seen recently was during a meeting in a local hydrologist’s office. Casually leaning against the wall for show and tell were two “core logs” recording a test well drilled for pending development in my neighborhood. Each panel contained a ladder of thick rectangular patches of actual soils, down to 600 feet, with subtly varying colors and textures. I was entranced by this image of my turf – an image that is unappreciated for its visual impact, but could have far-reaching effects in the Galisteo Basin.) I’ve always wanted to do a show in which artists chose non-art objects (readymades, actually) that could pass as art, even as their art. Now that I’ve lived in the American west for almost 20 years, I look back and see 1960s earthworks as an urban art, colonizing rural or wilderness or abandoned industrial environments. A lot of city-based artists got very taken with the Western landscape and kind of appropriated it. The images/objects gain a tremendous amount from the settings, the spaces that surround them, especially as they’re usually seen in photographs. But the social and ecological contexts remain mysterious. I doubt if such a fuss would be made over Michael Heizer’s Double Negative in Utah, if people could see how it now just replicates the harshly gullied land around it – erosion resulting not from art but from deforestation, overgrazing, railroads and other economic factors. An outstanding exception is the Los Angeles based Center for Land Use Interpretation, or CLUI, which involves photographic and geographical analysis of the built environment, rather than mud pies. Cataloguing all kinds of unexpected vernacular, industrial and military land use from deadpan but unconventional perspectives in its database, the Center “trumps cynicism.” Its creators work on a fine line between art and geography, earth science, social sciences, cultural geography. They’re my favorite example of a new conceptual art, a forward-thinking art about place in a broader, more social and analytical sense. So, would any of this be of interest to the international art world? It might be, if it were recast in the guise of a new and critical regionalism. While regionalism has been relegated to the attic as parochial and provincial, unless it’s adopted by art stars, the art market is always restless, always seeking new forage. In the last couple of decades there seems to be more openness to projects dealing with place-related endeavors. And good regional art is not the small picture but another large one, with both roots and reach. 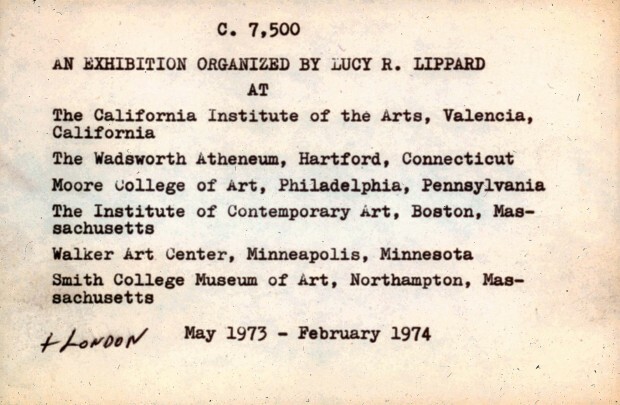 Works in the exhibitions 557,087 and 955,000 by Eva Hesse and Barry Flanagan  and two works by Robert Smithson [2,3] (exhibitions organised by Lucy Lippard, shown in Seattle, 1969, and Vancouver, 1970); index card catalogue for the exhibition c.7500, organised by Lucy Lippard, Valencia, California and touring 1973-4 ; Santa Fe, New Mexico [5,6,7,8]; rock art  and ruin , New Mexico; standing stones on Dartmoor ; Ashwell Farm, Devon ; all images courtesy of Lucy R. Lippard. 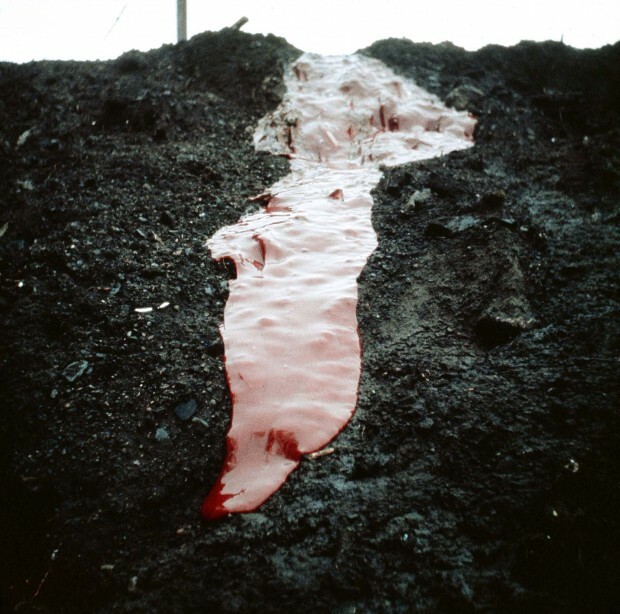 In addition to the images above, the lecture was accompanied by slides of work by the following artists: John Fekner, Sharon Stewart, Robert Smithson, Hulleah Tsinhnahjinnie, Roshini Kempadoo, Terry Evans, Charlene Teters, Georgia O’Keeffe, Marti Anson, Andrea Robbins and Max Becher, Nick Mangan, Peter Goin, Edgar Heap of Birds, Bob Haozous, The N.E.Thing Co., Aviva Rahmani, Christine Baeumler, Suzanne Lacy, Brandon Ballengée, Mary Miss, Patricia Johnason, Lynn Hull, Richard Long, Nancy Holt, Michael Heizer, Center for Land Use Interpretation, Michele van Parys and Paula Castillo. Also illustrated was the letter of invitation to artists for Seth Siegelaub’s ‘One Month’ exhibition, March 1969.